1) Something you love about teaching: First, last, and always: teenagers. No, seriously, I love the fact that the people I hang out with every day are teenagers, and the people I work with are also love being around them. Teenagers are no longer children and are not quite adults, but they want to be–with a crazy inconsistency–both, sometimes simultaneously. Teenagers are funny, honest, anxiety-filled, joyous, doers, strugglers, fragile and strong beings, innovators, thinkers and more–and just the kind of people I really like. 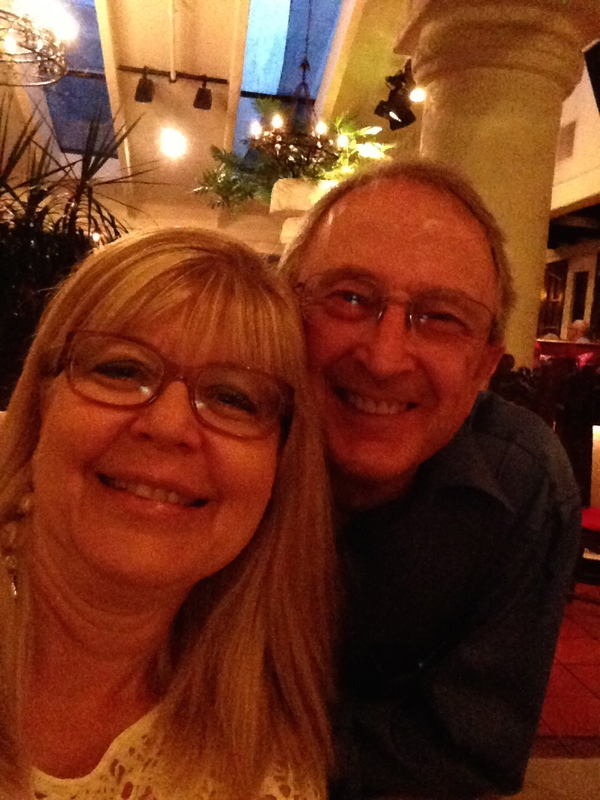 Celebrating our 9th anniversary last summer at El Serrano, the restaurant where we had our wedding reception. Live in Italy for a year–or more. After visiting Rome, Pisa, the Cinque Terre, and Venice a few years ago, I’ve longed to go back, but next time, for much longer than a two-week vacation. I’d LOVE to experience the country for an entire year–through the holidays, the spring, multiple feast days, ordinary mornings and evenings, and the hot, glorious, tourist-filled summer along all its coasts. I long to try much more local cuisine (the octopus was great! ), learn much more about customs and traditions, drink much more fresh brewed Italian coffee, eat a lot more (Nutella) gelato, ride on a Vespa, and learn to play bocce! There’s a volcano I long to hike (Mt. Vesuvius) and caves I’d like to snorkel, and canals I want to explore. And if I could teach (teenagers) while I’m there, that would be a bonus! I’m so glad that you’ve stopped by. As you can probably tell, I’m a beginner blogger, so having you visit means a great deal to me. Please come back soon and sign up for updates–just as soon as I get that update widget installed! I love my husband as well. I enjoy spending time with him, probably more than any other person. You’re not alone! Your love story is so sweet! Can’t wait to meet you at the conference! Your list of things you want to do made me laugh. I checked out Richard Byrne’s blog and he has SO much information on there. Will definitely have to follow his blog and go back for some serious reading. I love your bullet points, and can totally identify with them. Like you, I love teenagers. In fact, they are the topic of my post for this blog hop. Your students are blessed to have such a passionate advocate.